Potassium is an essential mineral which plays major roles for the resting membrane potential and the intracellular osmolarity. In addition, for several years, it has been known that potassium also affects endothelial and vascular smooth muscle functions and it has been repeatedly shown that an increase in potassium intake shifts blood pressure to a more preferable level. Meanwhile, the blood pressure lowering effects of potassium were presented in several intervention trials and summarized in a handful of meta-analyses. Furthermore, accumulating epidemiological evidence from, especially, the last decade relates low dietary potassium intake or serum potassium levels to an increased risk for insulin resistance or diabetes. However, intervention trials are required to confirm this association. So, in addition to reduction of sodium intake, increasing dietary potassium intake may positively affect blood pressure and possibly also glucose metabolism in many populations. 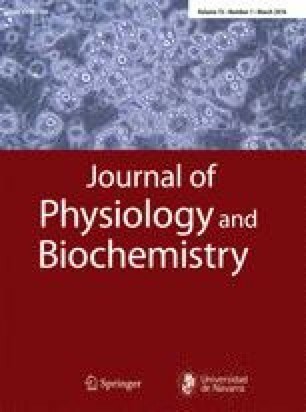 This concise review not only summarizes the studies linking potassium to blood pressure and diabetes but also discusses potential mechanisms involved, like vascular smooth muscle relaxation and endothelium-dependent vasodilation or stimulation of insulin secretion in pancreatic β-cells, respectively. The authors would like to thank Ms. Katja Herzog for literature support.